I thought I was a free-marketeer, but this Smithfield deal bothers me. I had mixed feelings when I saw the news on May 29 that Smithfield Foods signed a deal to be acquired by Chinese firm Shuanghui International Holdings Ltd. That makes America's leading pork processor the latest in a string of American food companies bought by foreign-owned corporations. Maybe the Smithfield deal is just one more piece of evidence that, while the 20th century truly was the American century, the 21st century appears destined to belong to China. And maybe it's payback for what American corporations were doing in the past century – buying up or into foreign manufacturers. Although I hate to see any American factory close, I don't mourn the relocation of so many commodity goods to overseas factories. Last time I looked, America remained the world's largest manufacturer, although China is getting close. It's painful for some, but we're moving on to higher-end, higher-tech products. And we lead the world in development of new drugs, undeniably a more noble claim than, say, a better (or cheaper) DVD player. But food is different; and, by association, so are a country's food companies. Back in February, I was worried to see H.J. Heinz Co. bought – seemingly by the duet of amiable Berkshire Hathaway and some obscure investment firm, 3G Capital. Except 3G is not so obscure, having bought Burger King in 2010. Despite a New York address, its roots are in Brazil. 3G also helped finance the 2008 acquisition of Anheuser-Busch by Belgian firm InBev. And the first management move for the new Heinz – the appointment of Bernardo Hees as CEO – was obviously engineered by the Brazilians, not the Oracle of Omaha. Speaking of Anheuser-Busch, I'll throw in the fact that South African Breweries bought Miller Brewing in 2002. Getting back to meat companies, remember Swift & Co.? It was bought by Brazilian meat packer JBS in 2007. JBS also bought Smithfield's beef group in 2010. And poultry leader Pilgrim's Pride in 2009. And George Weston (admittedly a Canadian firm) sold its U.S. bakery operations in 2008 to Grupo Bimbo of Mexico. Which bought Sara Lee's bakeries two years later. By the way, that makes for foreign ownership of companies No. 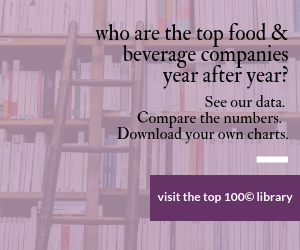 5, 6, 9, 16, 18, 25 and 31 from our Top 100© food & beverage companies list from 2012. What's it all mean? I don't know. Maybe I am a little xenophobic. Maybe I just long for the good old days. Maybe I worry that the U.S. will become the Great Britain of the 21st century. But I also have a little fear that “the safest food supply in the world” will be a little less so when companies in foreign nations are calling the shots. I hope I'm proven wrong. By the way: Please hang in there, Tyson. This Editor's Plate column originally appeared in our June 2013 issue of Food Processing magazine. Ammonia leak apparently sparked explosion.